Even after the emergence of Online food ordering, the rush in restaurants hasn't gone a bit down. In fact, more people are eating out than cooking at home. It doesn't matter whether the restaurant is a fine dinner or a quick service, there are a lot of things needed to be handled, and POS software is all set to streamline these tasks for you and your staff. Table management : Tableside POS on handheld devices increase efficiency and provide visual table layout. You can add features like bill split, tracking status and services etc. Fast administration at the table and in the kitchen is the key to customer satisfaction; the ultimate goal of any restaurant or retail business. Also, custom developed POS software with POS search can help customer finding table at their own. Cash Management: : Cash flow is the by-product of good service. The last thing that your restaurant needs are to keep your guest waiting, for the table or at the cashier. Send receipts via mails : : You can send receipts directly to your customer via emails or messages, designed in your POS to send it automatically, once the payment is done. Feedbacks : : The customer feedback is the most important thing for any restaurant owner. If you are busy at the moment, your poor quality of service can bring drought of customers as well. Smart Restro POS software can integrate a mobile feedback system with a set of questions for your customer to feed. Order and Delivery management : : Many restaurants are now spreading themselves via online booking for seats or food as well. As stated earlier, online food ordering and delivery is now a trend in India. POS software can keep track of orders and deliveries via GPS tracking systems and advanced programming. Marketing and loyalty : : POS software can create a database of customers and provide loyalty solutions based on the past experience of the user and your restaurant. Also, marketing strategies based on the sales can be suggested by an improvised POS software. What are additional perks that you can count on? Some restaurants need quick service POS while other need full service. POS software can be either used as one for all or all for one based on the target user. Focusing on best GUI for ease of use, lessening the service as well as the kitchen employee training time. Mobile POS can also help you keep track of your restaurant or restaurants at the same time without even being there. Hence, virtual ownership of the restaurant provides live updating of the status of your restaurant no matter where you are around the world. 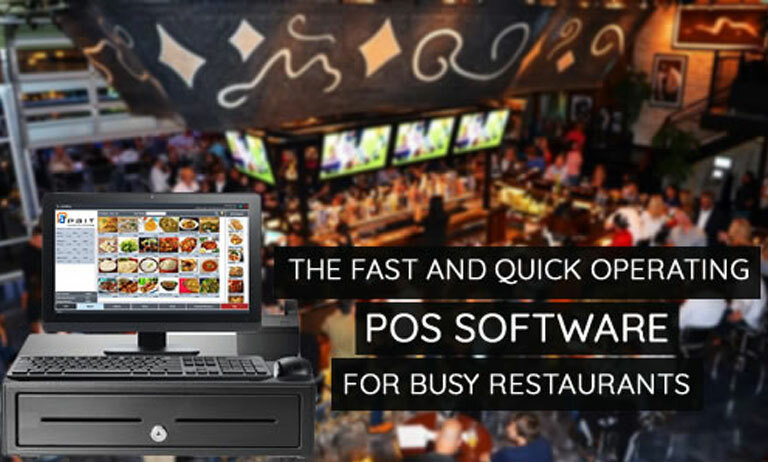 If you are looking for a POS for your own restaurant, PAIT BIZ Pvt Ltd is working with a major number of restaurants providing POS software solutions making it convenient for owners by creating what they need for their restaurants. We at PAIT Biz Software also provide billing software for a retail shop, hardware AMC service, retail shop software’s, retail billing software in Pune, India.